What Is the Actual Speed of an 802.11b Wi-Fi Network? The theoretical peak bandwidth of an 802.11b wireless connection is 11 Mbps. This is a performance number advertised on 802.11b Wi-Fi equipment, which many people equate with the expected speed of a network. However, this level of performance is never achieved in practice due to network overhead and other factors. The typical peak throughput—sustained data rate—of an 802.11b wireless connection under ideal conditions for end-user data is roughly 4 to 5 Mbps. This level of performance assumes a wireless client in close proximity to the base station or another communication endpoint. Due to the distance-sensitive nature of Wi-Fi signaling, 802.11b throughput numbers decrease as the client moves farther away from the base station. The large difference between theoretical and actual data rates for 802.11b is due primarily to protocol overhead. Wi-Fi generates a relatively large amount of traffic to maintain connections, coordinate the sending and acknowledgment of messages, and maintain other private state information. Throughput also decreases when interference in the 802.11b signal range of 2.4 ​GHz is present. Interference often causes retransmissions due to data corruption or packet loss. What About 22 Mbps 802.11b? Some 802.11b Wi-Fi products claimed to support 22 Mbps bandwidth. Vendors created these proprietary variations of 802.11b by extending the technology by various nonstandard methods. The actual throughput of 22 Mbps 802.11b networks is not double that of an ordinary 802.11b network, although typical peak throughput may increase to roughly 6 to 7 Mbps. 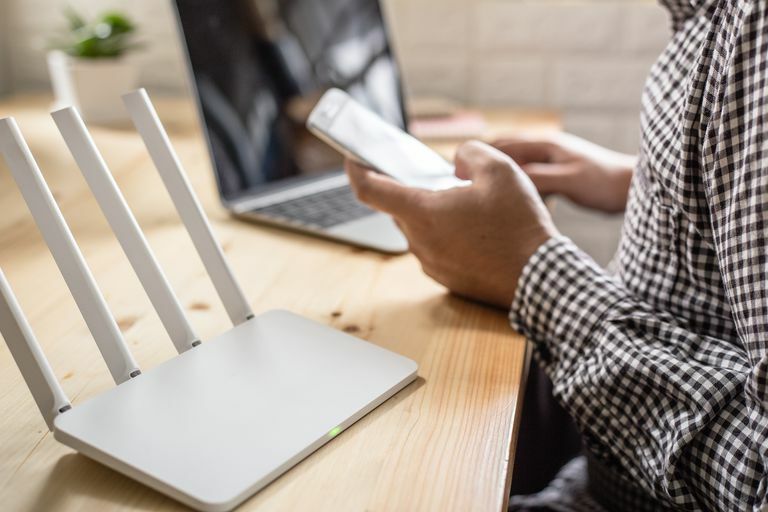 While peak data rates may be achievable at times, and a few households might have upgraded to 22 Mbps gear, many 802.11b home network links typically run at 2 to 3 Mbps. This is faster than some types of home internet connections but is increasingly too slow a speed for modern wireless networking. More recent versions of this protocol—802.11g, n, and ac—achieve faster speeds. Finally, the perceived speed of a network is determined not only by available bandwidth but also by network latency. Why Is My Wi-Fi Network Slow at Certain Times of Day?